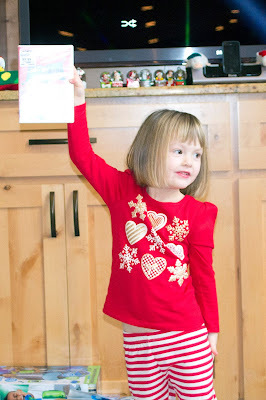 MUSINGS, MEANDERINGS AND MERRIMENT FROM ROSE: CHRISTMAS DAY 2015!! I had a nice Christmas with the same family I spent Christmas eve with (see previous post). Brogan and Bella were anxiously waiting for me, Nana Rose, to arrive that morning so gift opening could begin. They live just 6 miles from me. 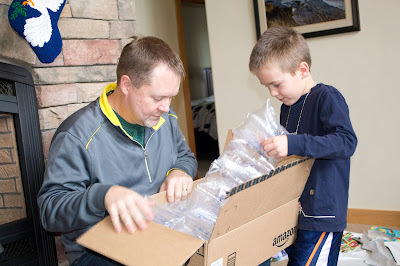 Both quickly began the tradition of unwrapping the gifts. 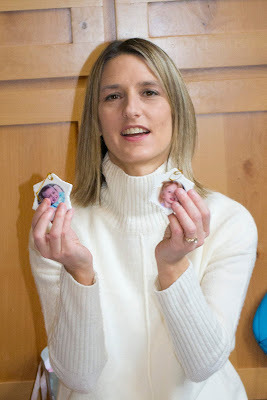 Christina liked the porcelain ornaments I had made for her with Bella and Brogans pictures on them. 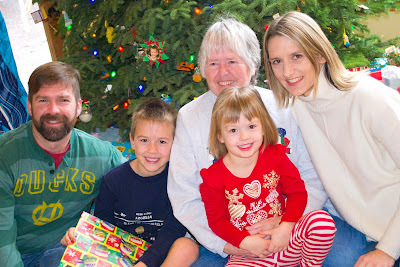 Left to right: Jeremy, Brogan, Sue holding Bella, and Christina. Sue is my best friend. Here is Christina and her hubby, Weston, with their 2 kids. Such a cute family! 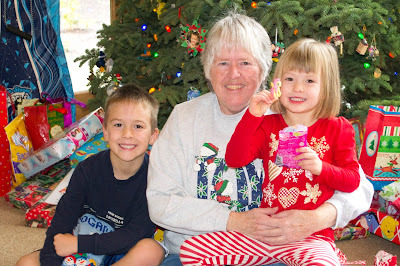 Gramma Sue with her cute grand kids. 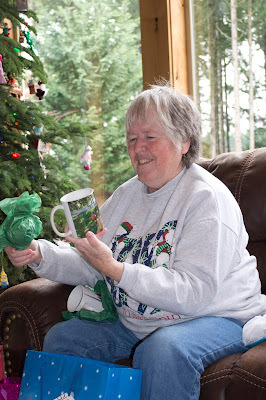 Sue loved the 2 mugs I gave her with the grand kid pictures on them, one for each grandchild. 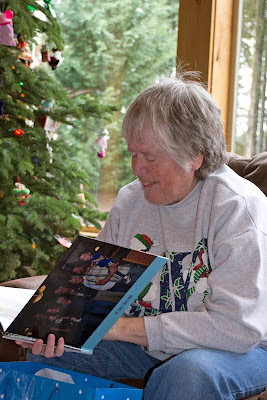 She also enjoyed the photo book I had made for her! 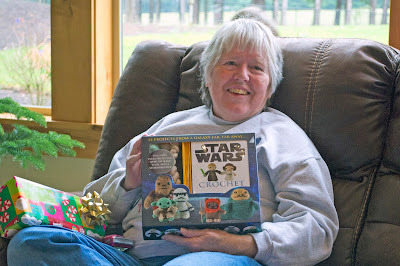 Her son, Shannon, in California, sent her a book on how to crochet Star Wars characters! We all thought that was funny! 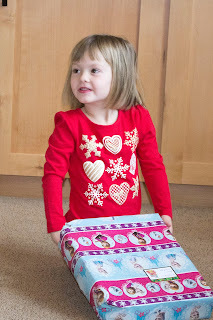 Brogan enjoyed helping everyone else open their gifts as well! Here he assists his father. Bella shows off one of her gifts. 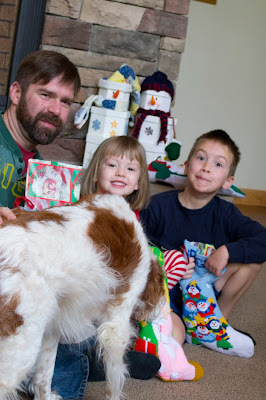 Even Maddie the dog had fun examining the presents. It was calmer and quieter than Christmas eve as there was less family. It was so nice to be around children and remembering their joy! They add a lot to the holidays. I hope your Christmas was just as memorable. 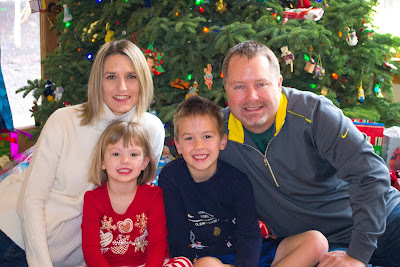 Having young children around at Christmas is o very special.I'm glad you were able to join this family. It looks like you had fun surrounde by loved ones. Such a wonderful family Rose! 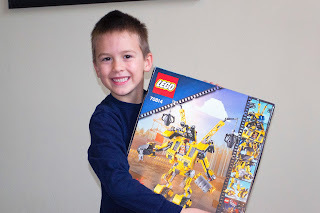 And it certainly wouldn't be Christmas around here without Legos and Star Wars. What a lovely way to spend Christmas. I hope you're enjoying the New Year so far. So glad you had a good Christmas with your family! Who knew you could crochet Star Wars characters!!!!! ?